Last month on Mother’s Day we went to Sonoma and had a family lunch. 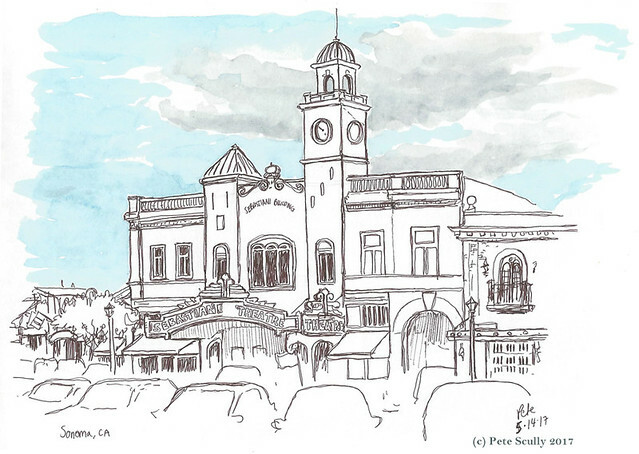 While the kids were playing in the park and the ladies were talking I went to sketch the Sebastiani Theatre building, which I last drew 10 years ago. I like Sonoma. It reminds me of the first time I visited California, and my girlfriend (now wife) was housesitting her friends’ house there for a few days. I remember the amazing cheese from the cheese shop, and the delicious wine. Drinking nice wine with cheese made me feel like I’d made it. I’d previously lived in France of course, where both items are in abundance, but had only ever had the cheap plonk from Super U and could never get through the door of the cheese shop in Aix for the whacking smell. I’ve always liked Sonoma though, and always enjoy going back. 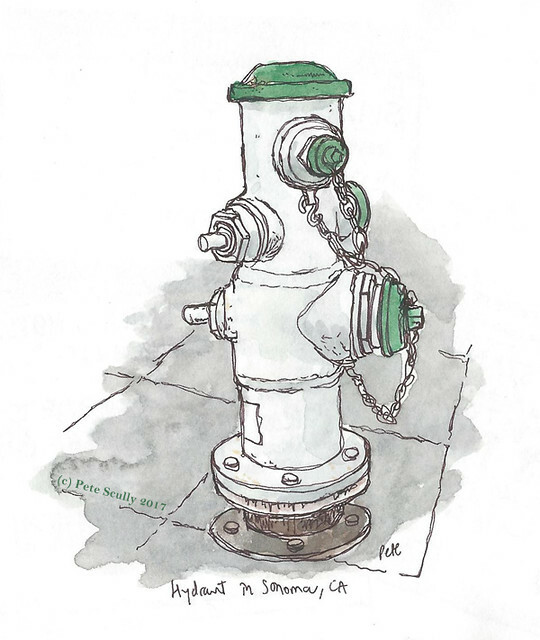 Oh, and here is a fire hydrant. The North Bay Area is one of the most beautiful places on Earth. Yes, I love it around there.